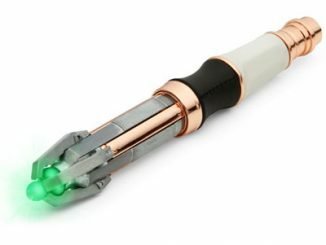 As we know from watching the Doctor Who Series 11 Trailer, there’s a new female Doctor and of course she has a new Sonic Screwdriver. 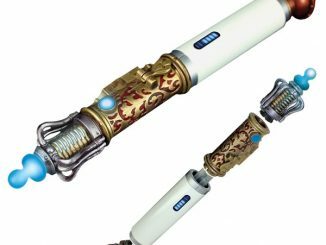 Have a replica of your very own with this Dr. Who: Thirteenth Doctor’s Sonic Screwdriver. 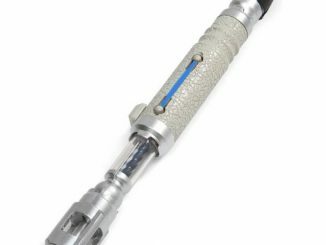 Measuring 7.4″ long, this is an authentic full-size replica of the 13th Doctor’s Sonic Screwdriver. 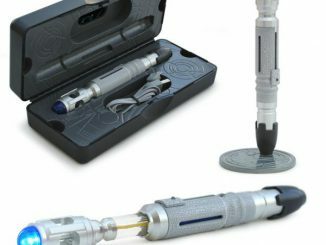 It even has lights and sounds. 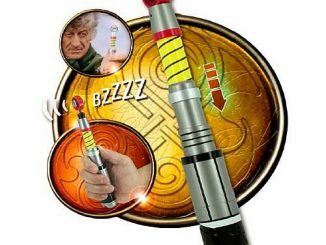 Press the buttons to play authentic sound effects, trigger glowing patterns of red and orange lights, or to activate the beautiful glowing rotating crystal. 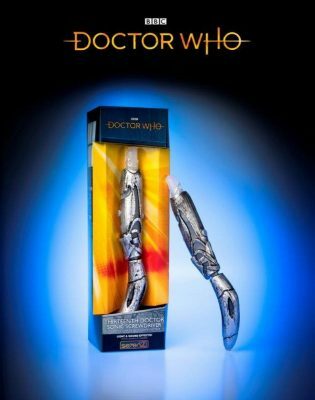 The one accessory no Time Lord should be without! Before you leave the TARDIS make sure you’ve got your trusty sonic screwdriver. 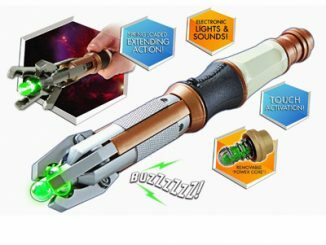 This authentic replica of the Thirteenth Doctor’s sonic screwdriver features rotating handle, glowing lights, sound effects and rotating crystal. 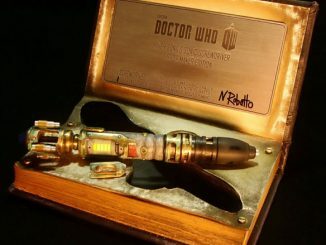 Oh, brilliant! 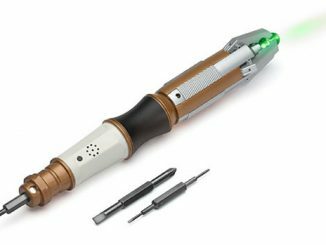 The new, electronic 7.4″ Thirteenth Doctor Sonic Screwdriver Fan Collectible is an authentic replica of the Doctor’s device. 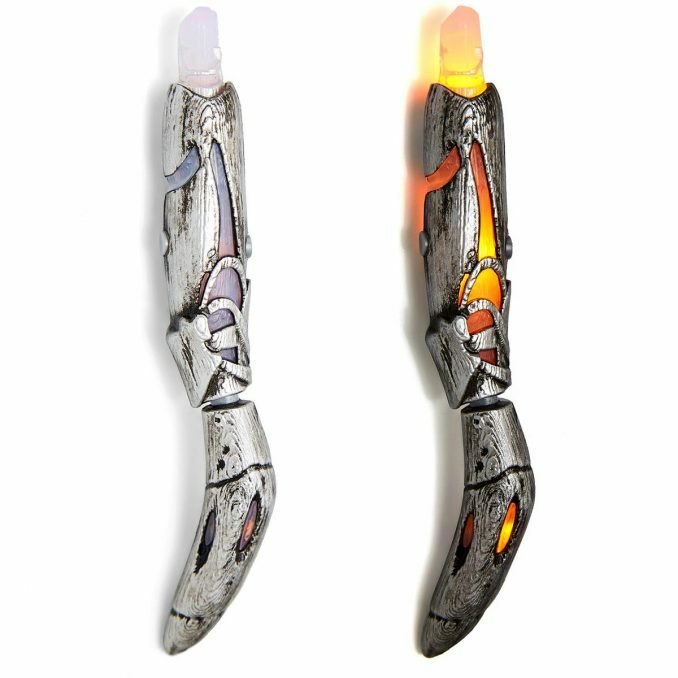 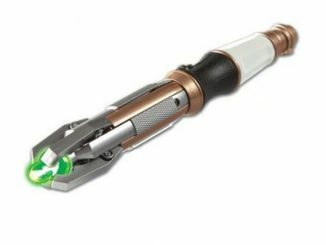 It features two buttons that when pressed activate glowing patterns of red and orange interior lights, two different authentic Thirteenth Doctor Sonic Screwdriver sounds, and a beautiful rotating crystal that glows. 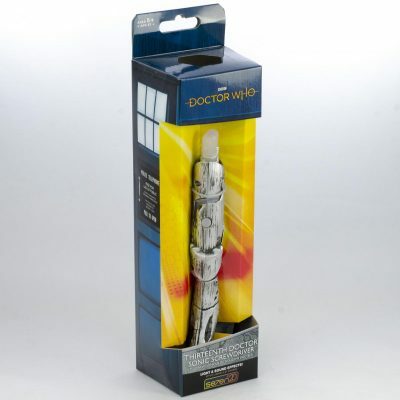 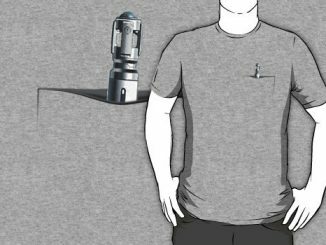 Find the Dr. Who: Thirteenth Doctor’s Sonic Screwdriver for $29.99 at Hot Topic and BBC Shop. 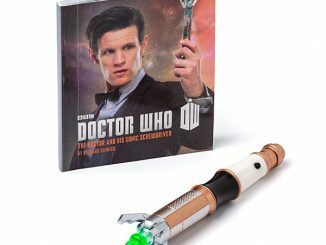 Both are currently in pre-order, with shipping expecting in early to mid-August 2018.